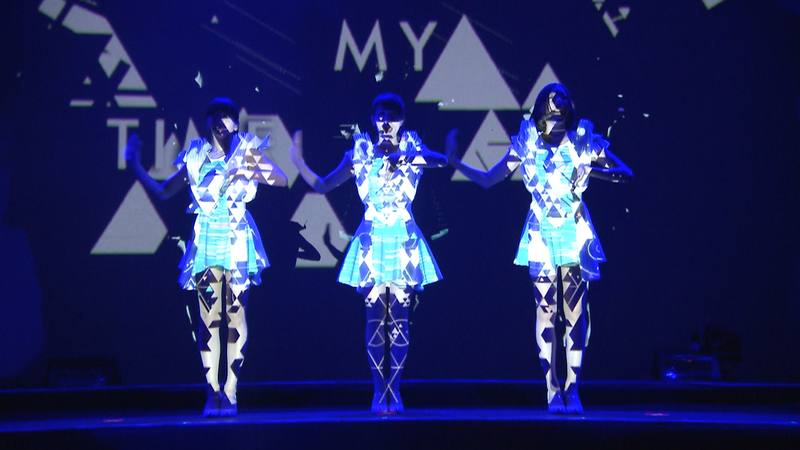 Performance conducted as part of the 2013 European tour Perfume WORLD TOUR 2nd. 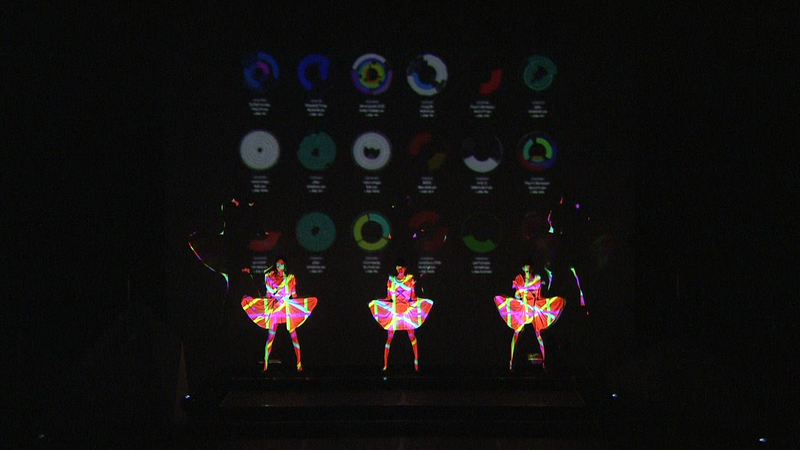 Fan tweets submitted to the Perfume global site project #003 were used to create graphics that were in turn projected onto the trio’s costumes. 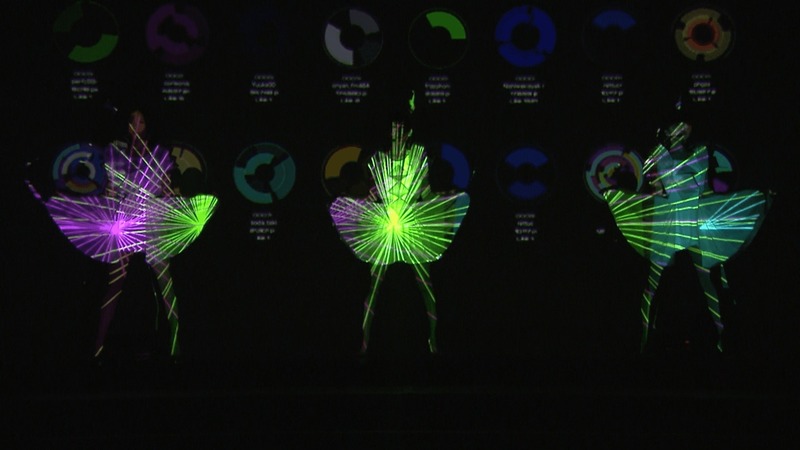 Their pure white garments became an ideal screen for the vivid graphics coordinated to align precisely with the choreography. A special mobile projector mapping rig was developed to facilitate transport between scene changes.